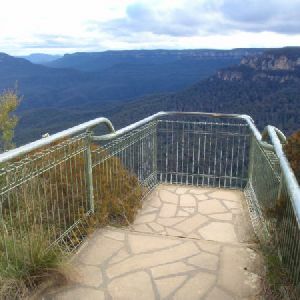 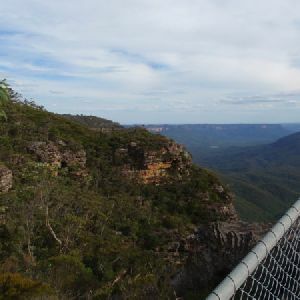 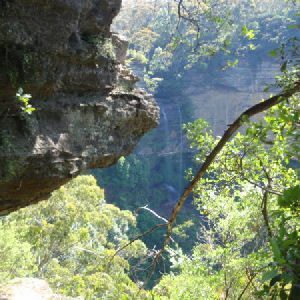 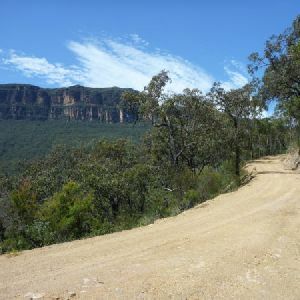 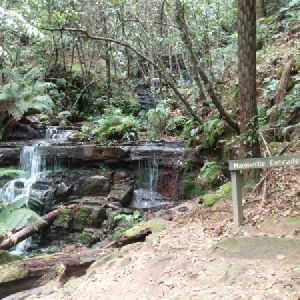 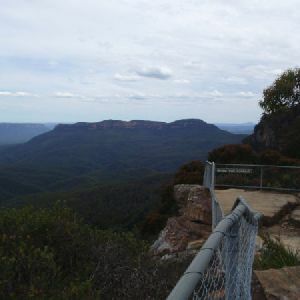 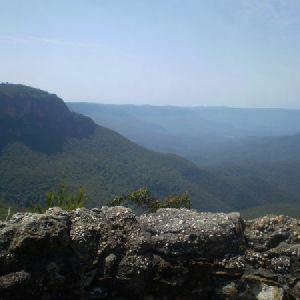 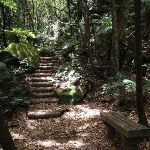 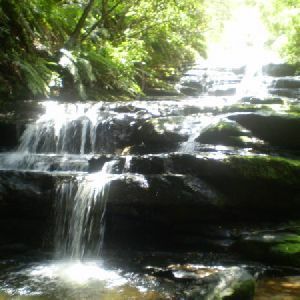 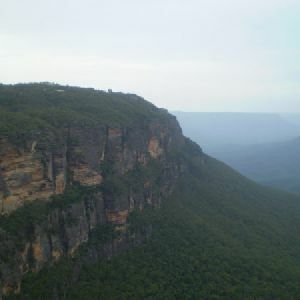 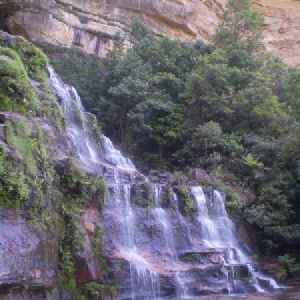 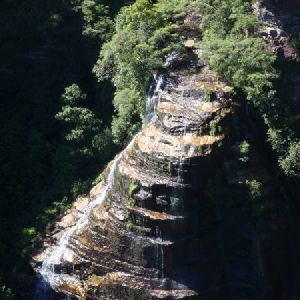 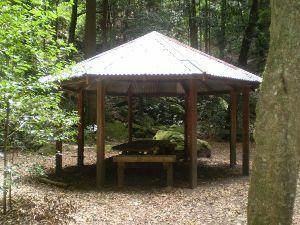 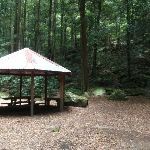 Continue straight: From the intersection, this walk heads south-west away from Katoomba Falls along the bush track, soon passing the signposted ‘Turpentine Tree’. 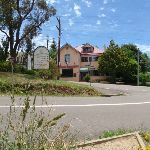 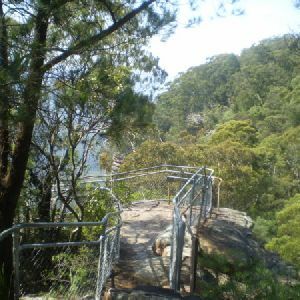 Shortly after this tree, the track comes to an intersection with another bush track and set of stairs (on the right, signposted as ‘Furber Steps’). 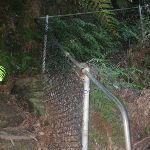 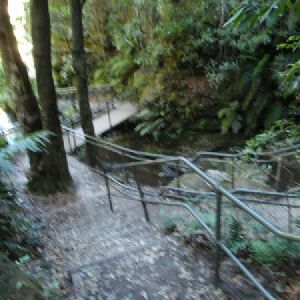 Continue straight: From the bottom of Furber Steps, this walk follows the ‘To base of scenic railway’ sign keeping the handrail on the left, and following the flat bush track. 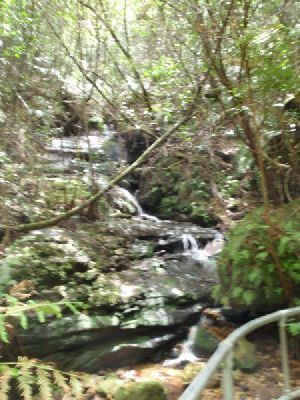 This track passes through a small gate over a metal bridge at the bottom of the Scenic Railway. 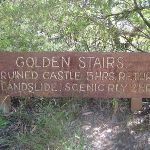 Turn right: From the intersection, this walk follows the ‘Golden Stairs car park’ sign uphill past the termite mound then past the ‘Warning – Sections of the Golden Stairs are unfenced and can be slippery when wet’ sign. 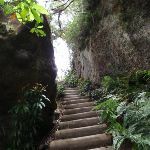 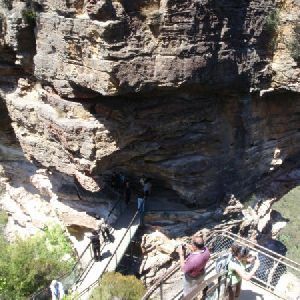 The walk heads up the broad spur along a narrow track, and before long, starts to climbs the first set of rock and metal stairs. 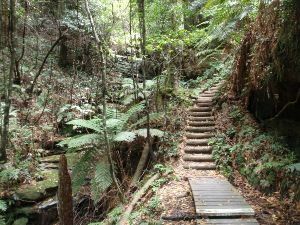 After this climb, the track is relatively flat for a little while before another climb up similar stairs. 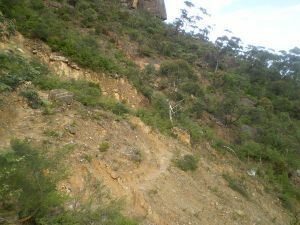 Then the walk makes its way around a gully to the base of a cliff. 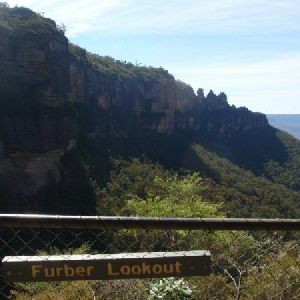 From here the track is flat for a while, heading between the cliff and the fence for about 100m, (passing a ‘Caution Rockfall Hazard’ sign) before another, smaller climb, up through a gap in the rock to the fenced and signposted ‘Botting’s L.O.’. 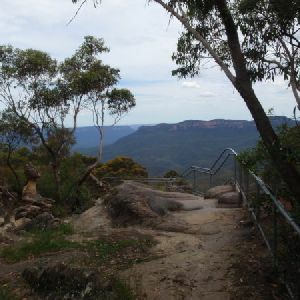 Turn left: From Botting’s Lookout, the walk heads up the hill where the track then turns left. 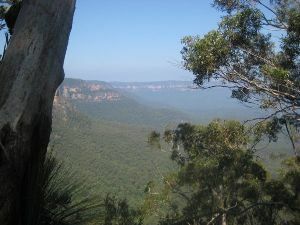 The walk continues, steeply in a couple of places, up some eroded sections of track and through a couple of switchbacks. 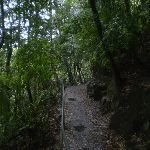 Soon the narrow track mostly flattens out. 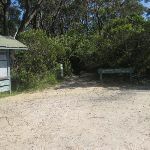 leading to the signposted ‘Golden Stairs’ car park on Glenraphael Dr.
6km of this walk has short steep hills and another 1.2km has gentle hills with occasional steps. 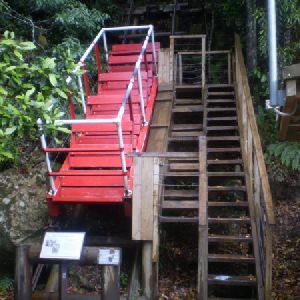 Whilst another 620m is very steep and the remaining 190m is flat with no steps. 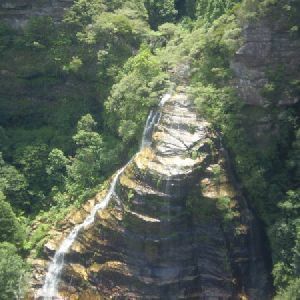 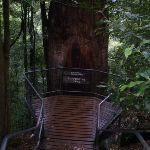 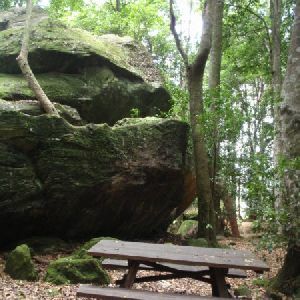 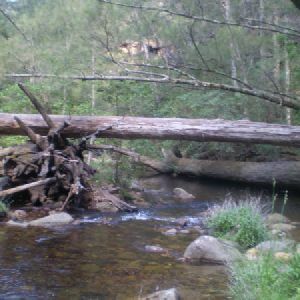 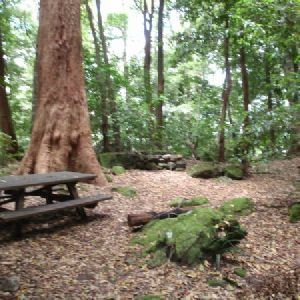 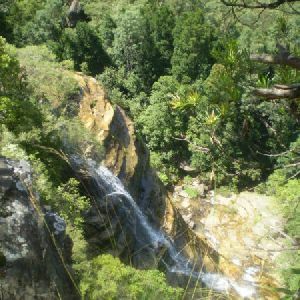 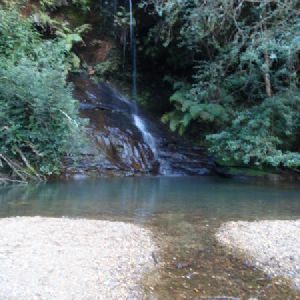 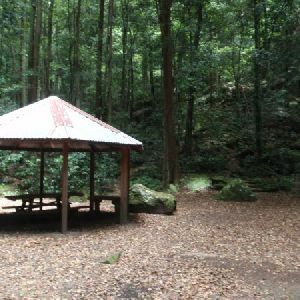 4km of this walk follows a clear and well formed track or trail and another 3.4km follows a formed track, with some branches and other obstacles. 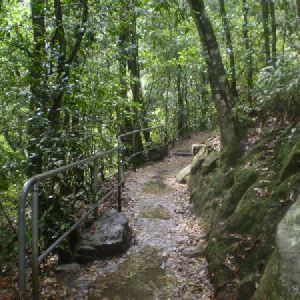 Whilst another 410m follows a rough track, where fallen trees and other obstacles are likely and the remaining 220m follows a smooth and hardened path. 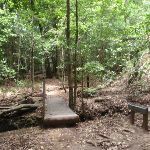 Around 4km of this walk has directional signs at most intersection, whilst the remaining 4km is clearly signposted. 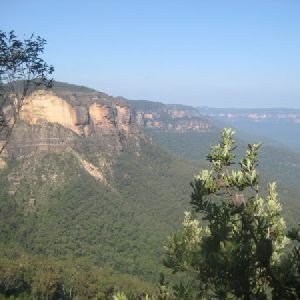 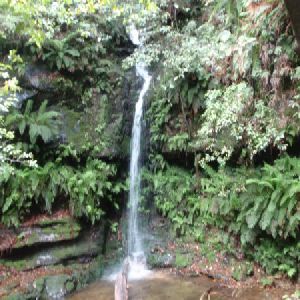 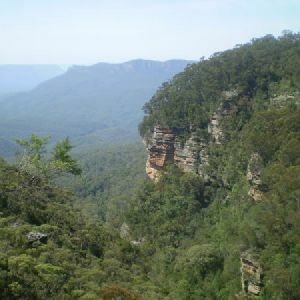 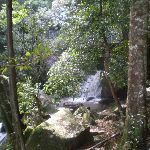 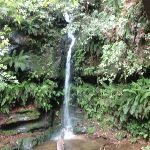 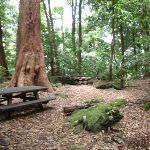 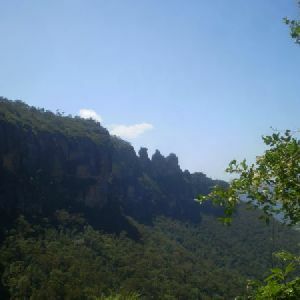 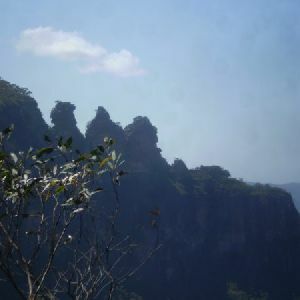 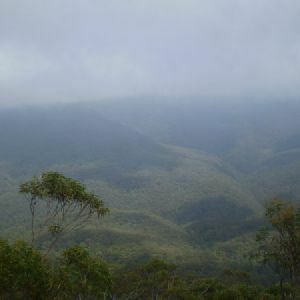 Around 6km of this walk requires no previous bushwalking experience, whilst the remaining 1.6km requires some bushwalking experience. 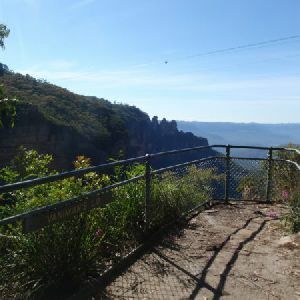 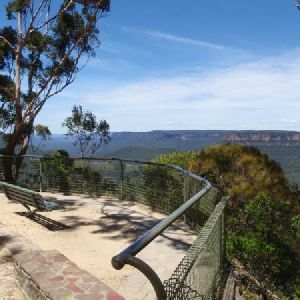 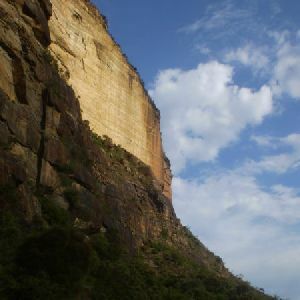 Around 4.7km of this walk is close to useful facilities (such as fenced cliffs and seats), whilst the remaining 3.3km has limited facilities (such as not all cliffs fenced). 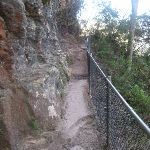 A list of walks that share part of the track with the Federal Pass Walking Track walk. 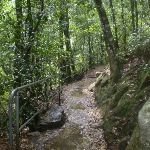 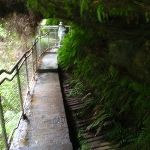 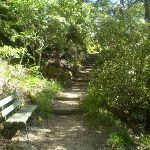 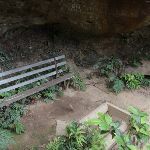 A list of walks that start near the Federal Pass Walking Track walk. 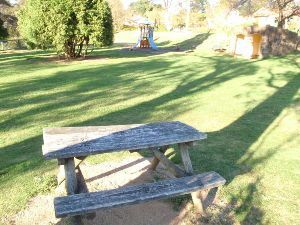 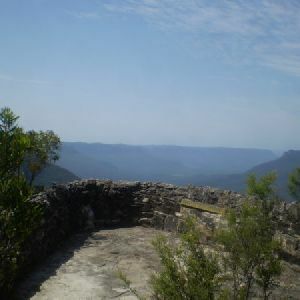 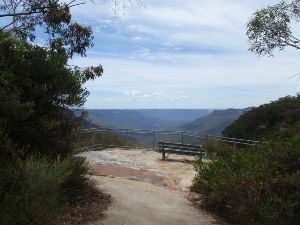 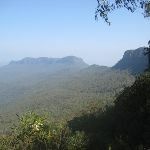 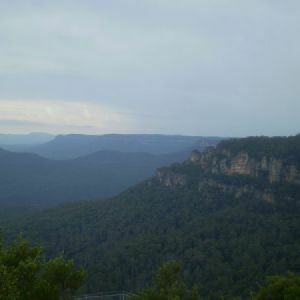 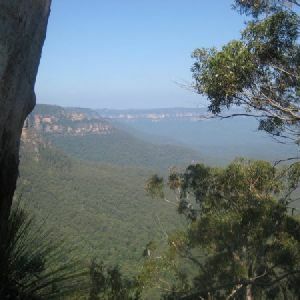 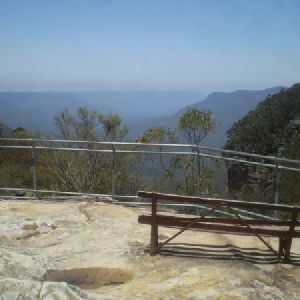 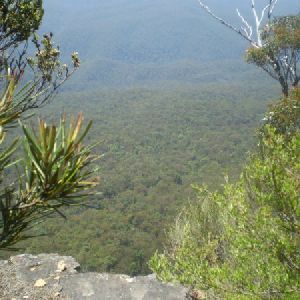 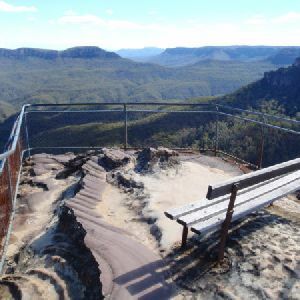 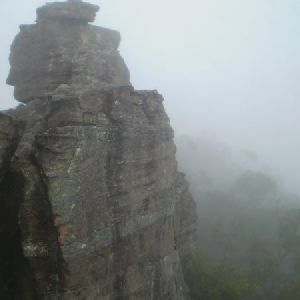 http://new.wildwalks.com/wildwalks_custom/includes/walk_fire_danger.php?walkid=nsw-bmnp-fpwt Each park may have its own fire ban, this rating is only valid for today and is based on information from the RFS Please check the RFS Website for more information.